Happy Birthday dad. We miss you everyday. Daddy, you are missed everyday. I wish I could be half the man you were. I am working on reactivating my license. You have been an inspiration to me my whole life. I love you. I just wish I could have told you while you were here. I ran a hero's 5k in your honor today Sir, you are not forgotten. My mentor, My hero and the only supervisor who took the time and patience to make me the officer I am today. God's peace and speed Officer Maltby. Thank you for your brave, dedicated service. RIP Brother. but you were my brother in name too. I grieve for every life that has been lost while protecting and serving, but when a Maltby is recalled to Heaven, the loss is personal because it leaves 1 less of the Maltby clan to carry on. Thank you bringing great honor and credit to our name. To the family of Deputy Sheriff Kenneth Maltby, friends, Sheriff Wayne Bradford and the Eastland County Sheriff's Office. First let me apologize for the late reflection! I pray for Deputy Maltby's family! I pray that God blesses you in your time of sorrow! Rest in peace sir! Thank you for your service to Eastland County officer Maltby. May God bless your family, friends and colleagues during this time of sorrow. May the Lord Bless your family, friends, and co workers. 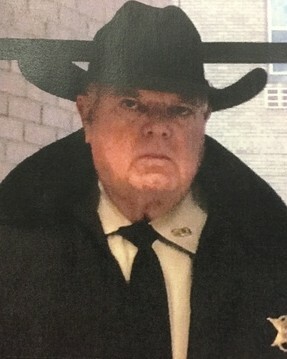 Rest in Peace, Deputy Sheriff Kenneth Maltby. Thank you for your service to this country and your community. My thoughts and prayers are with your family and your department at this time.